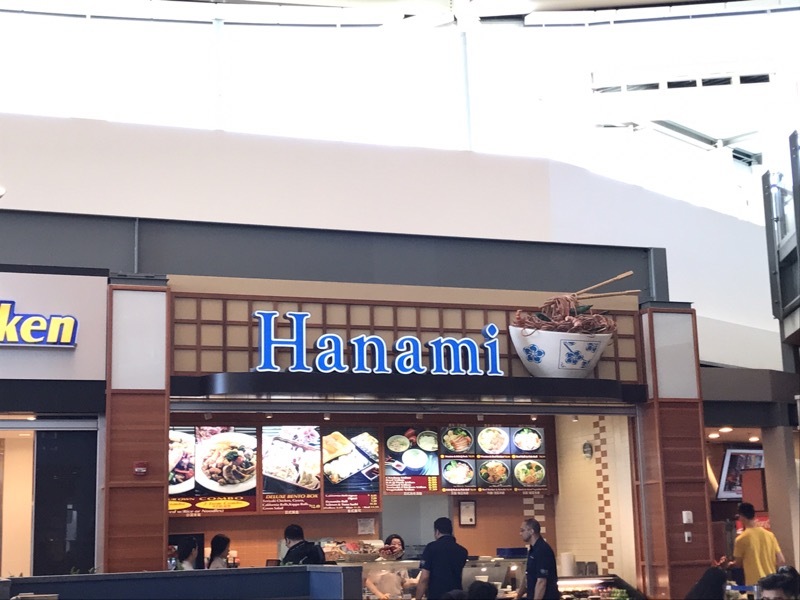 It was a travel day from Calgary to Osaka-Kansai via Vancouver. We took Air Canada Rouge for the return trip which is a kind of casual, LCC, Low-cost carrier, style flights. The airplane doesn’t have LCD screens. The passengers have to download the application beforehand and are able to watch movies during the flight via Wifi. 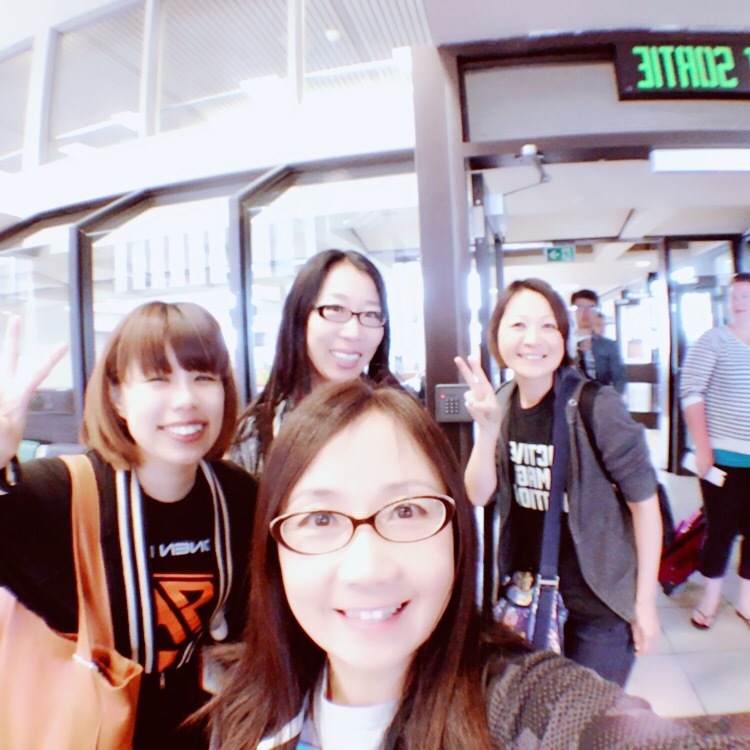 Atsuko will flight to Los Angeles and Miyoko will go to Buffalo via Toronto. Risa and my flight is the earliest and they came to see us off to the gate. I will miss everybody. Then it’s time to board. We go to Vancouver first for transfer. 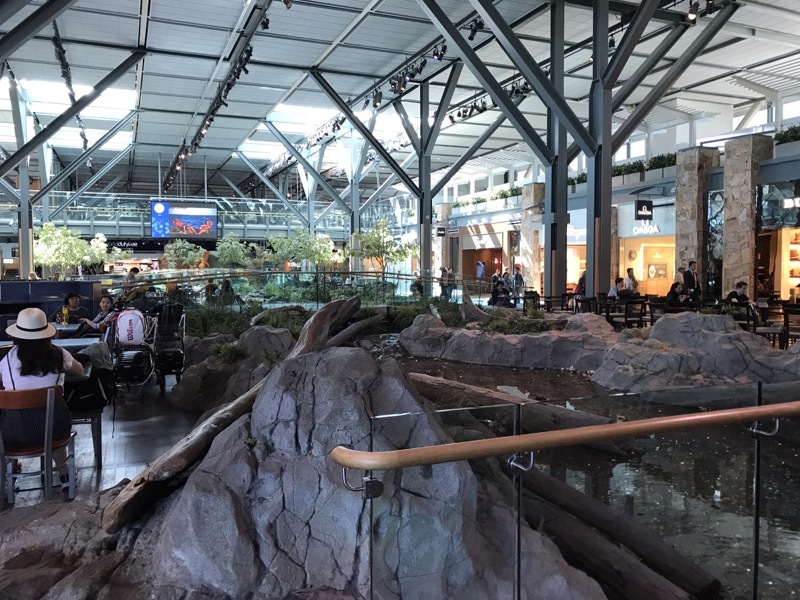 We had no time to find any souvenir at Calgary so I walked around Vancouver airport with Risa for an hour. Please do not feed the bear!? Seems like Chinese Japanese. Full of Chow Mein in a bowl. 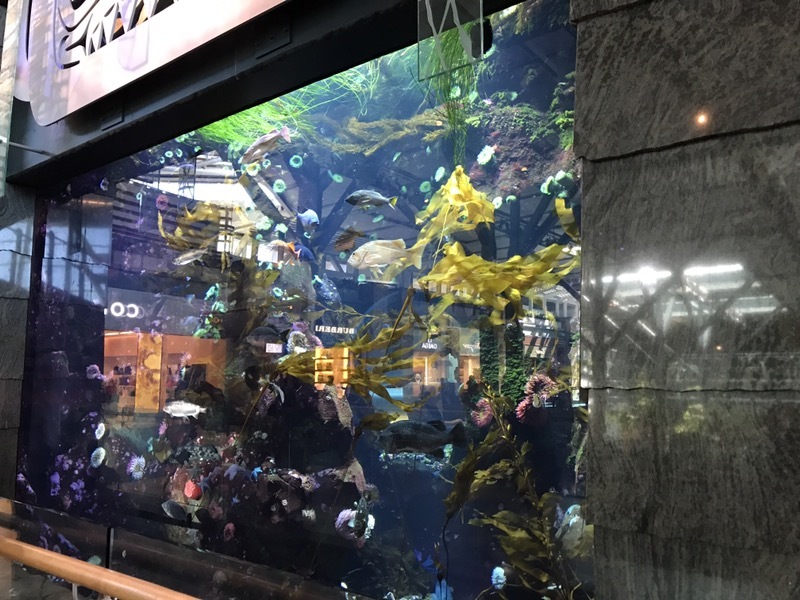 There were a big fish tank. After 10 hours 50 minutes flight, we arrived at Osaka-Kansai Airport. 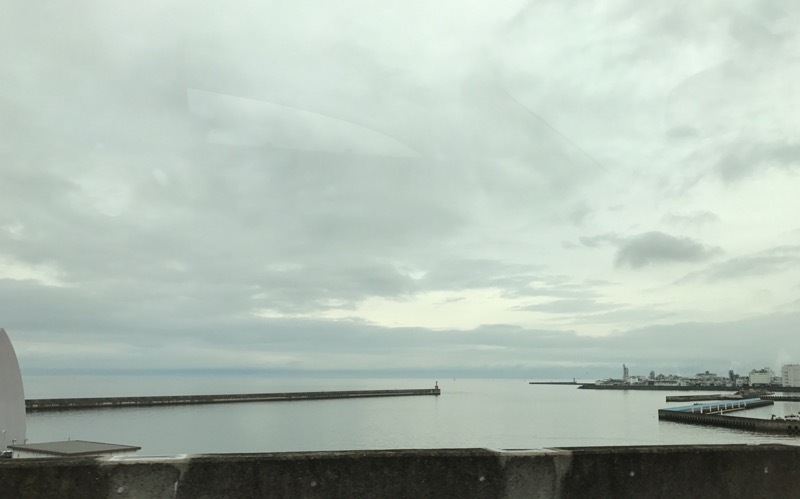 This picture is the sea of Sen-nan area on the way home from the airport. 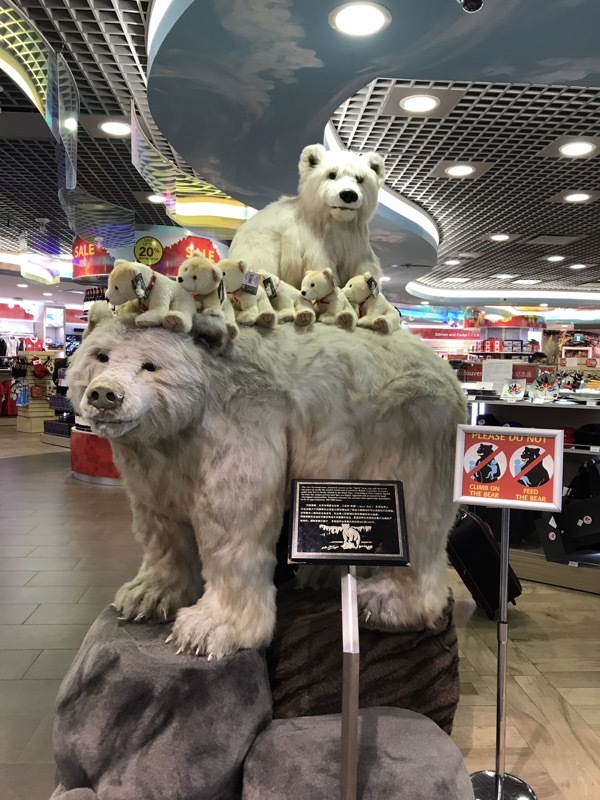 The tour of 4 days 2 night passed very quickly but we had so many audience and very kind Sled Island volunteers, I could have a very rewarding experience. Thank you everybody! 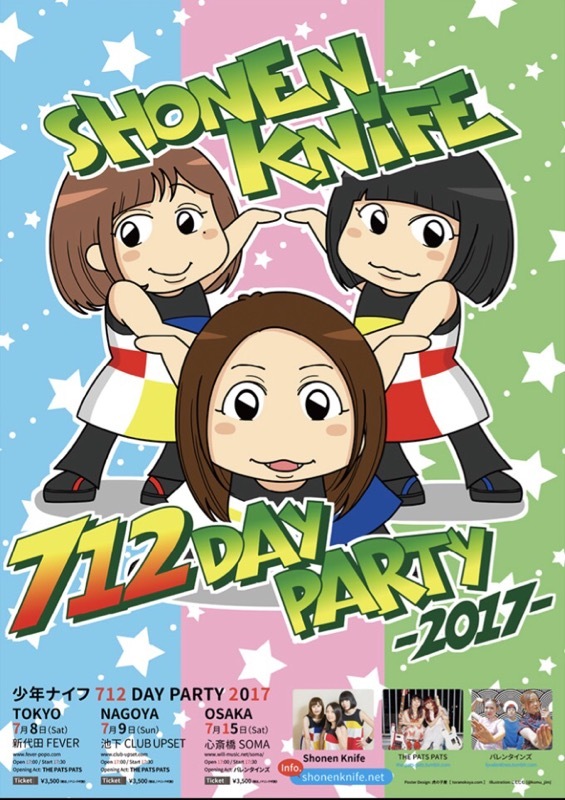 Shonen Knife’s next shows are, ‘712 Day Party 2017’ tour in Japan. We’ll play in Tokyo, Nagoya and Osaka. Please come to our show! These shows will start from 5:30. Don’t miss it!